You can feel confident, happy and in control of your life! Imagine how wonderful you will feel making all the positive changes that you want. I can support you to explore what is holding you back and to move forward positively to live a happy abundant life! The ‘Maya Method’ is carried out via my online programme or in one to one personalised sessions and this includes a hypnosis recording for you to listen to every day to make the long lasting powerful changes that you want into your subconscious mind. I worked with many clients when I was a social worker and I saw how many people struggled to make changes in the long term and they just kept repeating the same cycles of behaviour and I became very interested in why this was. Then I personally tried many other methods to change my life when I was ill with the M.E (chronic fatigue syndrome) for years and they did not work. I then discovered why they did not work; these methods and techniques were working with the conscious mind. I realised that I would need to work with the subconscious mind to make long lasting powerful positive changes, as the subconscious mind holds all our beliefs and memories. Neuroscientists now state that the subconscious mind makes up 95% to 98% of our mind! Our present beliefs and thought patterns are a product of past programming into our subconscious minds when we were children; from our parents, carers, teachers and wider family members, society etc. As adults we live from our beliefs in our subconscious mind and if they are self-limiting and negative about ourselves, these beliefs can hold us back from living the life we want and deserve. I use hypnosis and hypnotherapy with the ‘Maya Method’ to make these lasting powerful changes in your subconscious mind. Please see my Hypnotherapy page for more details. *Now that you have decided to Free your mind and Change your life; contact me today for your free 20 minute telephone consultation or trial session (see below)! 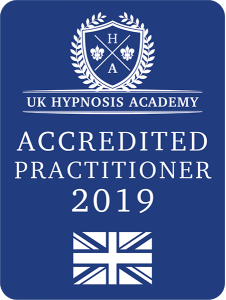 The hypnotherapy sessions I had with Karen have been a really positive and powerful experience for me.I would definitely recommend seeing Karen f you have areas of your life you would like to change and improve. If you would like to chat about your self-esteem and how I may be able to help you; contact me for your free 20 minute chat on the telephone or Skype.